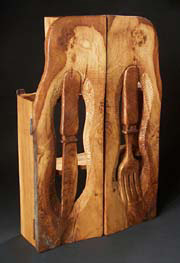 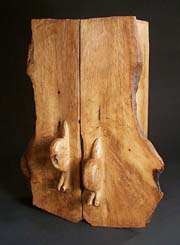 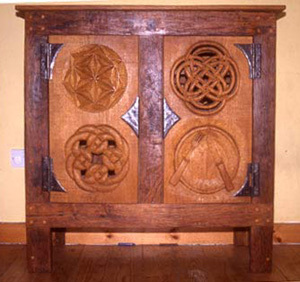 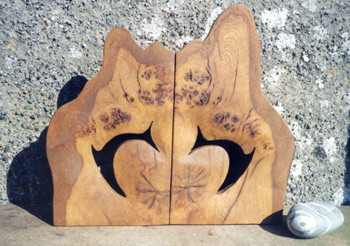 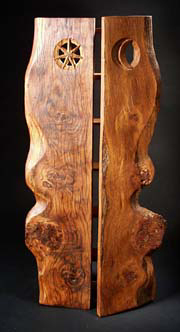 Carved cupboards inspired by Medieval Oak Furniture, often depicting domestic, ‘everyday’ objects, celtic knotwork etc. 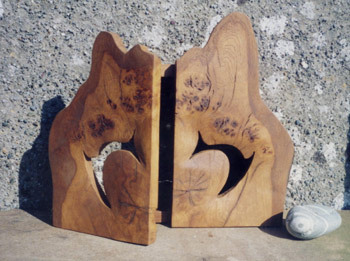 I like to work with the natural shape of the piece of timber and to emphasise the swirling grain to be found in Oak, especially Evergreen Oak. 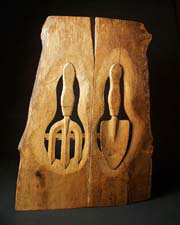 Hand-forged Ironwork hinges and handles are a feature of these designs.